Pound bulls, watch out! 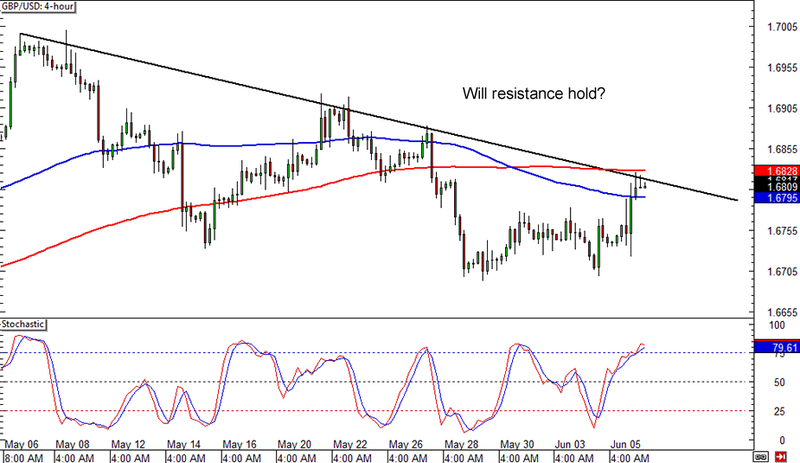 GBP/USD is encountering resistance at the 200 SMA on the 4-hour chart while stochastic just reached the oversold zone. This could be a sign that the pair’s rallies are already over and that the selloff might resume, just enough to take GBP/USD for a test of its previous lows at the 1.6700 major psychological handle. Reversal candlesticks seem to be forming right around the resistance area and a drop to new lows could confirm the strength of the falling trend line that’s just about to form. Here’s another trend line that’s just about to form! NZD/USD has been edging lower for almost an entire month, with the 100 SMA crossing below the 200 SMA and indicating that more losses might be in the cards. 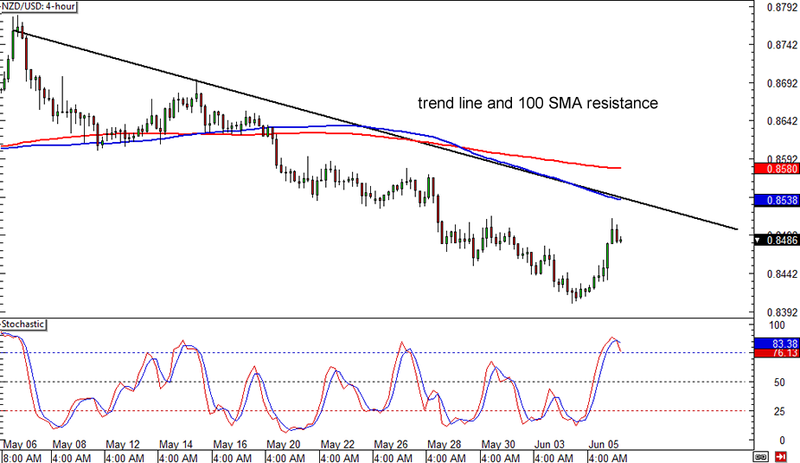 Stochastic has already reached the overbought zone and is starting to cross down, but NZD/USD might still have a chance to test the trend line and 100 SMA resistance. If you’re planning to short, make sure you set your stop above the trend line and 200 SMA! 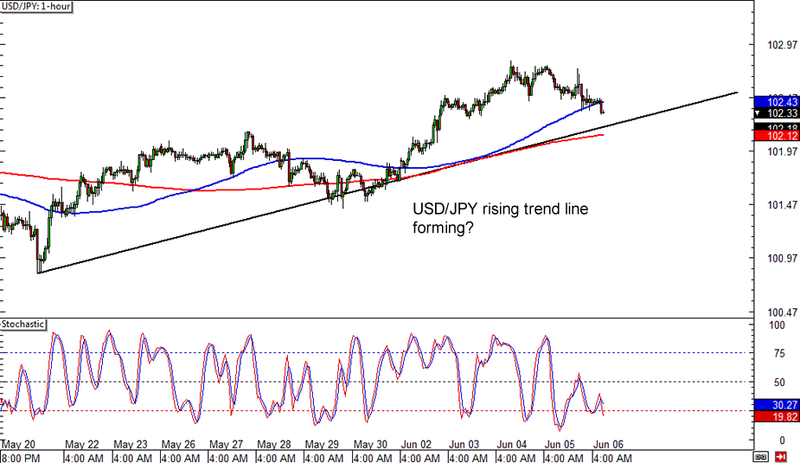 Now, let’s take a look at this new uptrend on USD/JPY! A rising trend line might be forming, as the pair made a couple of bounces off the ascending support level. A third bounce might take place soon, with stochastic nearly in the oversold zone and price moving close to the SMAs. USD/JPY might find support around the 102.00 major psychological level, which could confirm the existence of the trend line and push USD/JPY past its previous highs near 103.00.